Your one stop shop for all your home improvement needs. 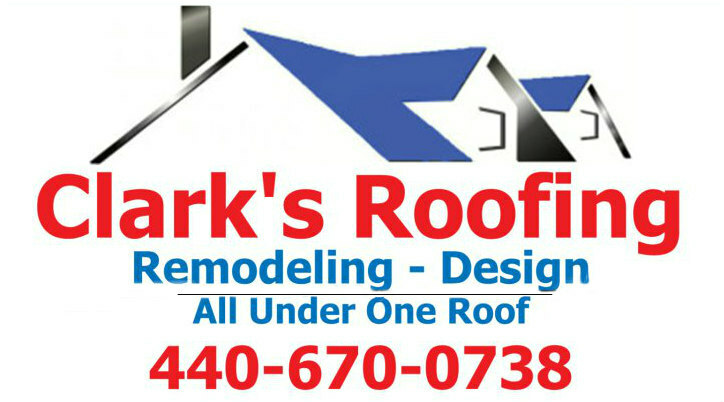 Clark's Roofing Remodeling and Design covers all of Cuyahoga County, Lorain County, Medina County and Erie County Ohio. We offer free roofing estimates and lifetime workmanship warranty on all of our roofs. Please feel free to call Clark's Roofing and schedule your free roofing estimate.